“Strategies and Standards for Defensive Handgun Training” contains expanded and updated material from essays, blog posts, and presentations Karl and John have produced over the past 5 years. 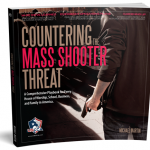 This publication organizes the older material, combines it with new content, and presents it as a comprehensive guide to developing strategies and standards for instructors and all individuals interested in handgun training. 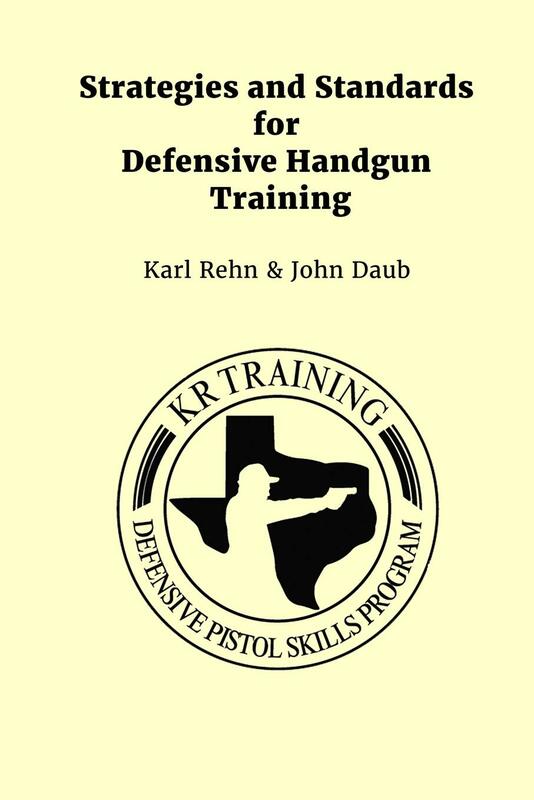 Section 1, Beyond the One Percent, expands Karl’s analysis and thoughts on the challenge of motivating more than 1% of carry permit holders to train beyond their state’s minimum requirements. Section 2, Minimum Competency for Defensive Pistol, shares John’s updated analysis and thoughts on what minimum standards should be. What skills are essential? What level of performance is a realistic acceptable minimum? Why testing and measurement of skills matters. 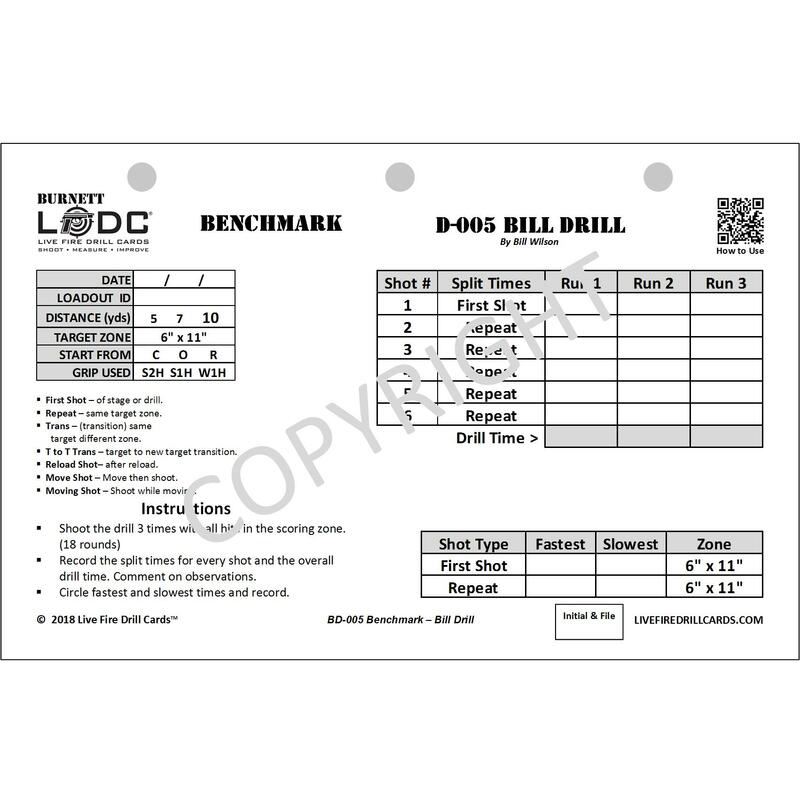 Section 3, Drills, includes guidance in how to calculate the relative difficulty level of any handgun drill, comparisons and analysis of many well known standard courses of fire, discussion of the development of the Three Seconds or Less test and KRT-2 target, and a recommended list of 10 drills as a progression of performance level and skill development any shooter or trainer could use to define standards for every level of handgun proficiency. About the Authors: Karl Rehn is the lead instructor & owner of KR Training. His credentials include more than 2500 hours of coursework from more than 60 different trainers over the past 30 years. His certifications include USPSA Grand Master, IDPA Master, NRA Training Counselor, Texas LTC and School Safety instructor, Massad Ayoob Group Deadly Force Instructor and Rangemaster Advanced Instructor. John Daub is senior assistant instructor for KR Training. 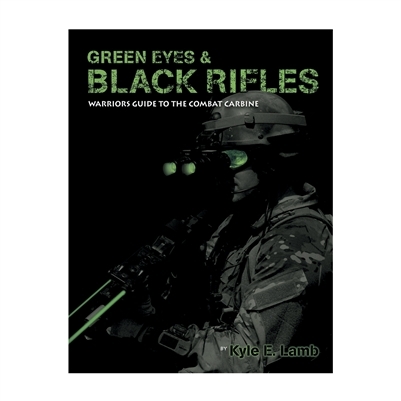 His credentials include more than 700 hours of training in firearms, empty hand martial arts and combatives, medical, tactics and other self-defense topics. 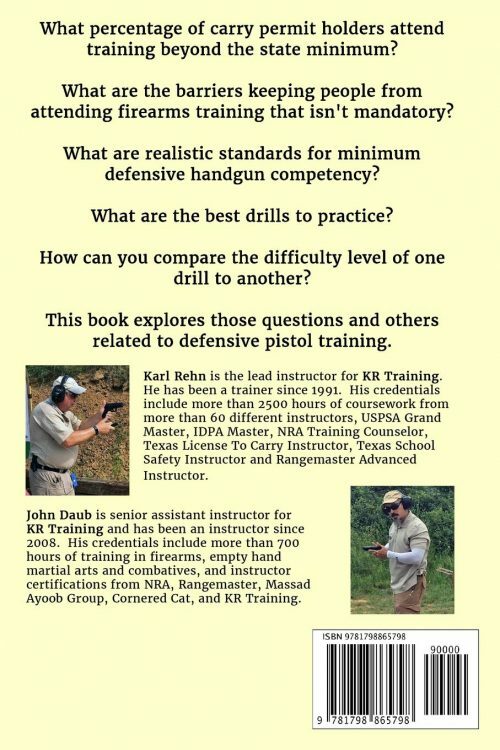 He is certified as an instructor by NRA, Rangemaster, Massad Ayoob, Cornered Cat, and KR Training. 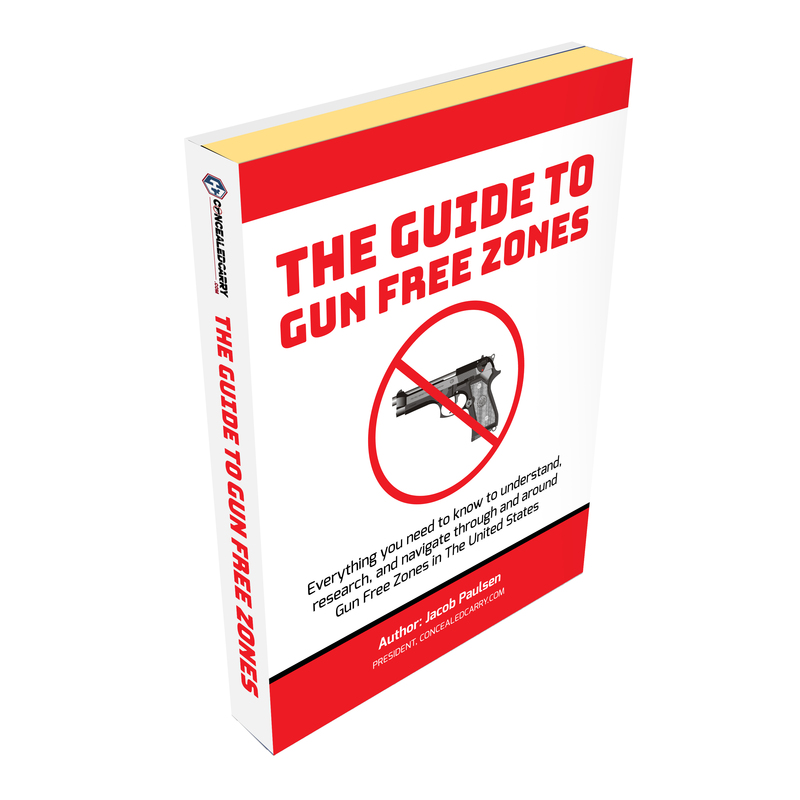 Be the first to review “Strategies and Standards for Defensive Handgun Training” Click here to cancel reply.